JACOB SCHIFF: THE MOST POWERFUL MAN IN U.S. HISTORY? A reader asks, "Mike, all roads eventually lead to the Rothschilds of Europe; but who do you think was the most powerful Jewish mogul in American history?" 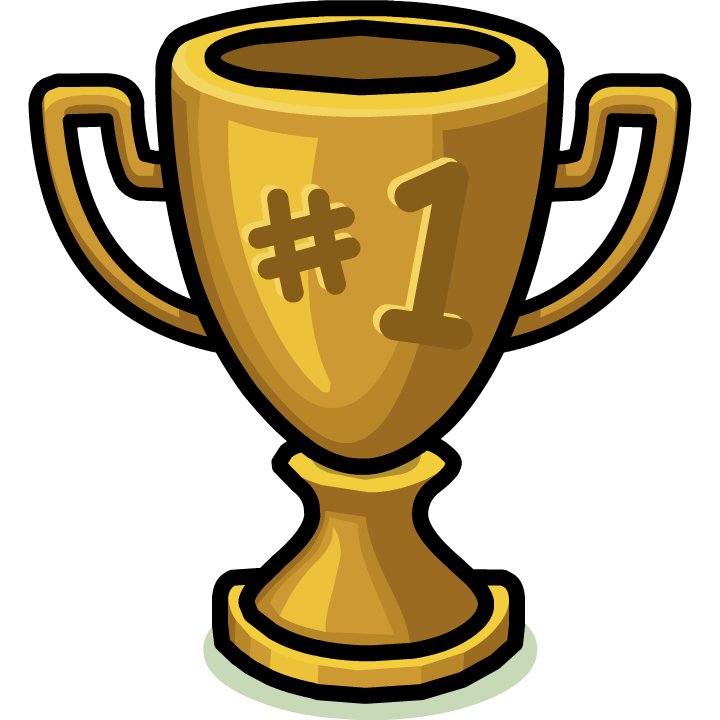 A strong case for the MVZ Award (Most Valuable Zionist) can be made for Paul Warburg, Bernard Baruch, Adolph Ochs, William Paley, Eugene Meyer, Arthur Hays Sulzberger, David Sarnoff, Jack Warner, Carl Laemmle, Henry Morganthau, George Soros, Henry Kissinger, Sumner Redstone, Michael Eisner and a few others. Just 'Google' each of those names and marvel at the power which the chosen ones have wielded over the last century. And although they weren't Jews, the Rockefellers and Morgans were not lacking in political-economic muscle either. But in the final analysis, the MVZ Award would have to go to the financier (money lender) Jacob Schiff - (with Baruch not far behind). Jacob Schiff washed up upon America's shores in 1865, shortly after the Civil War. During the 1700's, his Schiff ancestors had actually shared a home with the legendary Rothschilds, in Frankfurt's Jewish quarter. Schiff's descendants exercised some power and influence in their own right, though nothing like the Patriarch did. Schiff's granddaughter, Dorothy Schiff, was the owner and Publisher of the New York Post for over 40 years. She once claimed to have "had a relationship" with Franklin D Roosevelt. 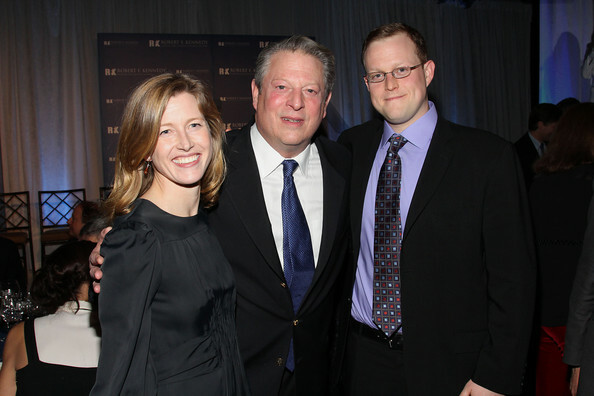 Kareena Gore-Schiff, the daughter of former Senator, almost US President, and Global Warming con man Al Gore, is married to Andrew Schiff, the great great grandson of Jacob. 1- The Rothschild-Schiff home (shared ownership, 1700's) in Frankfurt Germany. 2- Dorothy Schiff - New York Press Queen 3- Kareena Gore marries into Zionist royalty as proud papa Al cashes-in on the Global Warming scam. It's not merely that Schiff wielded enormous power, but rather the fact that his actions, more so than anyone else's, fundamentally altered the course of American history. Schiff was really the first true Jewish Mega-Mogul of the whole United States (Judah Benjamin had previously run the confederacy). As the first, Schiff, more than anyone who followed him, was able to leverage his power into eternity. That is why the MVZ award must go to him. Let us review Jacob Schiff's impressive scorecard of destruction. Schiff's most history-altering accomplishment would have to be the role of 'Trojan Horse' which he played in the late 1890's. At a time when Jewish influence in America was relatively minor, and Jewish numbers were yet very small, it was Schiff's cajoling of the outgoing U.S. President, and former New York Governor, Grover Cleveland (D) that prevented the massive wave of Jewish immigration to America from being shut down. The Immigration Bill of 1897 would have required immigrants to pass a literacy test; something that Russian Jews would not have been able to do. After passing both Houses of Congress, Cleveland's veto, induced by Schiff, saved the day for the incoming Communist and Zionist Jews of Russia. "It is staggering to consider the alternative course American Jewish history would have taken had this measure passed." To which, your intrepid historian-author would like to respond, "and it is equally staggering to consider the alternative course AMERICAN history would have taken had the measure passed." Schiff's role as Trojan Horse, above all other deeds, would be enough, in and of itself, to qualify him for the MVZ Award. But there's more -- a lot more! 1- Grover Cleveland's parting gift to Schiff kept the floodgates of Jewish immigration wide open for 20 more years. 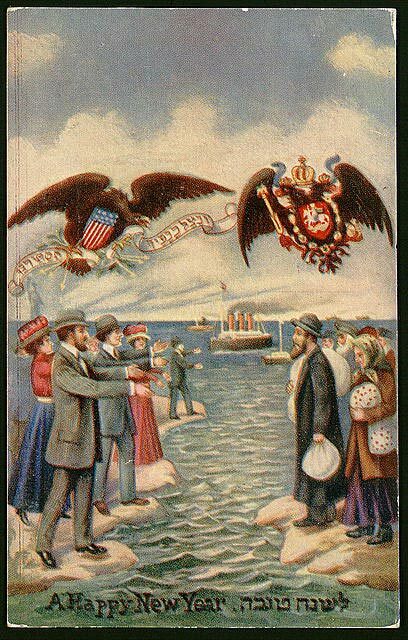 2- New Year's card depicts wealthy American Jews beckoning European Jews to come on over. Schiff hated Christian Russia with a passion. He worked ceaselessly to overthrow the Romanov Dynasty and replace it with Jewish Reds / Communists. Toward that end, he personally financed, and sold bonds on behalf of, about 50% of the entire Japanese war effort during the Russo-Japanese War. As a result, the war ended with a Japanese victory. Russia's loss was also facilitated by Schiff's boy, President (and also a former New York Governor) Teddy Roosevelt, whose negotiating intervention clearly favored Japan over Russia. * The left-wing Roosevelt became President after the conservative William McKinley was conveniently assassinated by a Red. For his role in securing victory for Japan, Schiff was personally awarded a medal, the Order of the Rising Sun, by the foolish Japanese Emperor. We say "foolish" because Schiff's gang and their Roosevelt henchmen were, at the time, already plotting Japan's ultimate demise; a process which started with Teddy's escalating naval moves in the Pacific (Philippines, Midway, Guam, Pearl Harbor), and culminated with Franklin's war and murderous Atomic bombs of 1945 (actually dropped under Truman 4 months after FDR's death). 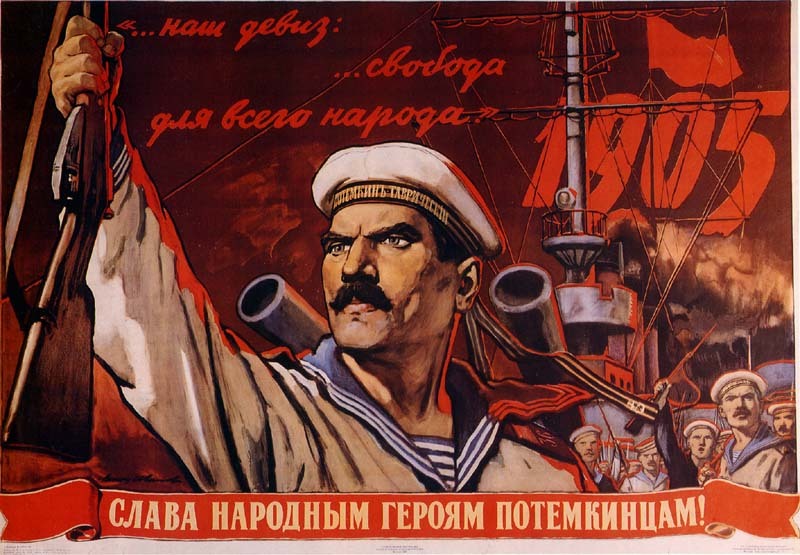 Schiff's Jewish agents in Russia skillfully used the humiliating loss of the Russo-Japanese war as an occasion to launch a Communist revolution. 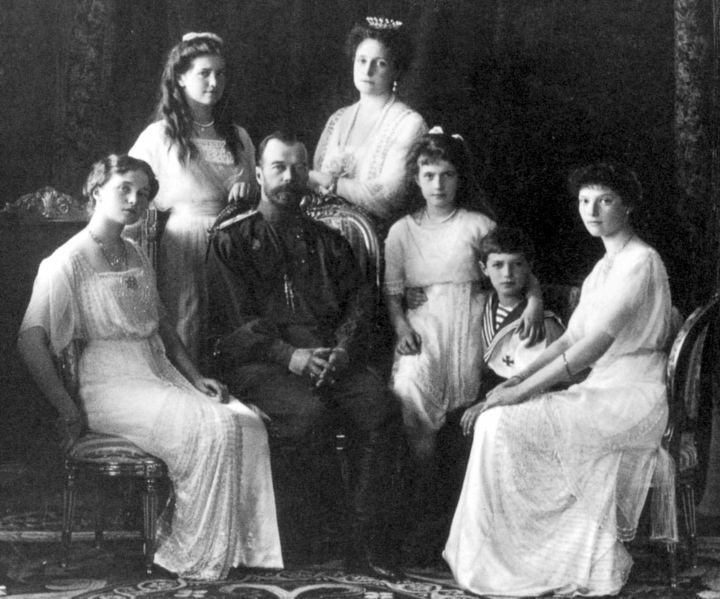 The bloody Revolution of 1905 ultimately failed, but the Tsar's regime was left considerably weakened. Many of the returning Russian POW's came home brainwashed after Schiff had arranged for Communist propaganda to be given to them while in Japanese captivity. The final Bolshevik overthrow of Russia in 1917 will owe its success, in large part, to the damage done to Russia by the team of Jacob Schiff & Ted the Red Roosevelt on 1905. Teddy Roosevelt's anti-Russian 'diplomacy' and Jacob Schiff's money (both seated from left) almost turned Russia into a Communist state in 1905. "The committee placed itself promptly after its organization into communication with the Jewish Territorial Organization, of which Israel Zangwill is the head, and an arrangement was entered into between that organization and the Galveston Committee, under which the former undertook to make propaganda in Russia and Romania for acquainting intending emigrants with the advantages of going into the United States through Galveston (Texas), rather than to and through the overcrowded and congested North Atlantic ports." Instead of confining the arrival of Jews to just the New York, New England, Pennsylvania and New Jersey areas, Schiff's clever scheme would facilitate the spread of the liberal/progressive plague to even the most conservative parts of the country. He knew exactly what he was doing! 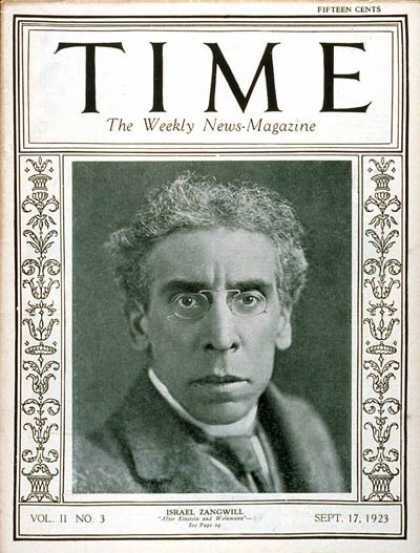 Playwright and Jewish immigration enthusiast Israel Zangwill (on TIME cover) coined the phrase "Melting Pot' to describe America. 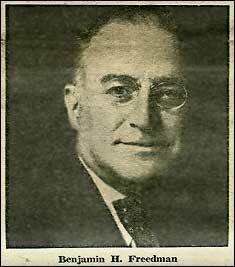 His Broadway play of that same name was attended and praised by Teddy Roosevelt. Zangwill worked on the Galveston Project with Schiff. 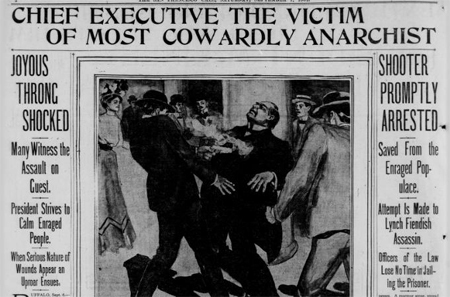 1909 / 1914: SCHIFF & FRIENDS CONTROL THE N.A.A.C.P. The NAACP (National Association for the Advancement of Colored People) is the most well-known Black American organization. What is not widely known is that its founders were ALL Zionist Marxists! Early Jewish co-founders included Julius Rosenwald, Lillian Wald, and Rabbi Emil Hirsch. A black Communist named W.E. 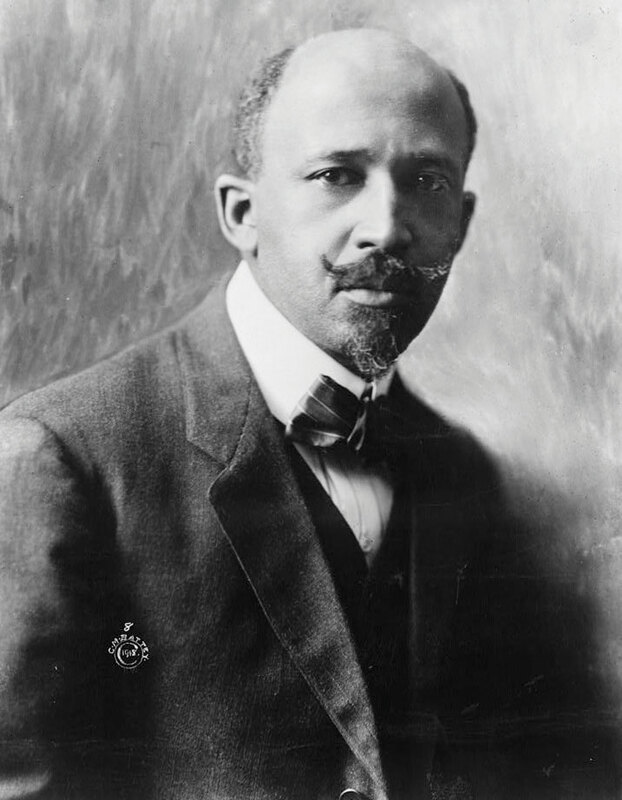 Dubois was cleverly put up as the NAACP’s front man. In 1914, Jacob Schiff became a Board member of the NAACP. With a giant like Schiff on board, the organization was now ready for the big time. Zionist money and influence has long dominated this "civil rights" organization, which did not elect a non-Jewish President until 1975! By design, Schiff's Jewish-controlled NAACP drew Blacks away from the positive influence of the Black-American conservative patriot Booker T. Washington, a dominant Black political leader who believed in America's founding principles and sought to build bridges between Whites and Blacks. The liberal Democrat NAACP represents the opposite of what the Republican Booker T stood for, which was self reliance. NAACP is an anti- White Globalist Marxist tool that serves to divide Americans while herding radicalized Black voters (who they do not care about!) into the Leftist political camp. As a result, even today, 90-95% of Blacks blindly vote for Democrat candidates. Without Schiff & friends, there would be no Barack Insane Obongo! The openly Communist Black front man delivered the Black masses to his Jewish master. The New York bankers had artificially inflated the stock market with easy loans. When lending was then tightened, the bubble burst. Stocks crashed 50% and bank runs followed. The Zionist NY Times and the Wall Street bankers used the Panic of 1907 to make a case for establishing a European style Central Bank (as Karl Marx envisioned). Several years later, Senator Robert Owen of Oklahoma will accuse the Banksters of conspiracy: "The Panic was brought about by a deliberate conspiracy for the enrichment of those who engineered it." JP Morgan, John D Rockefeller, Jacob Schiff, and Paul Warburg all declare that the lesson of The Panic is that the US needs a Central Bank. Nine months before the planned crisis, Jacob Schiff warned in a speech to the Chamber of Commerce that "unless we have a central bank with control of credit resources, this country is going to undergo the most severe and far reaching money panic in its history". Senator Owen was right. The Panic of 1907, so 'prophetically' predicted by Schiff just months earlier, was caused by the same gang that later proposed the privately owned Federal Reserve (Central Bank) as a solution. President William H. Taft proved to be a Constitutional Conservative, and not a big government "progressive" like his predecessor Teddy Roosevelt. But what really angered Jacob Schiff most of all was Taft's refusal, told to Schiff in person, to dampen trade relations with Tsarist Russia. According to Henry Ford's sources, Schiff and his entourage left the White House saying. "This means war." Jacob Schiff was the chief engineer behind the three ring circus of 1912; a trick which ushered in the Wilson disaster. Paul Warburg is widely considered to be the "Father of the Fed". As its first New York City Branch Chairman, it was Warburg who ran the new counterfeiting, loan-sharking and market rigging operation, while an Anglo Saxon named Charles Hamlin provided the protective "Christian" cover as its nominal Chairman. But in the grand power scheme of things, as powerful as Paul Warburg was, and came to be, Schiff still outranked him, at least in America. Schiff had already been well-established in New York for 37 years before Warburg had even arrived from Germany. Warburg settled in New York in 1902 as a partner in Kuhn, Loeb & Co., where he was junior to Schiff. Schiff was actually the Brother-in-Law to Warburg's wife, Nina Loeb. Recall that it was Schiff who called the Crash of 1907 in advance, as well as providing an idea for "solution" to such problems in the future. So if Paul Warburg is the "Father of the Fed", then old Jake is the Grandfather. 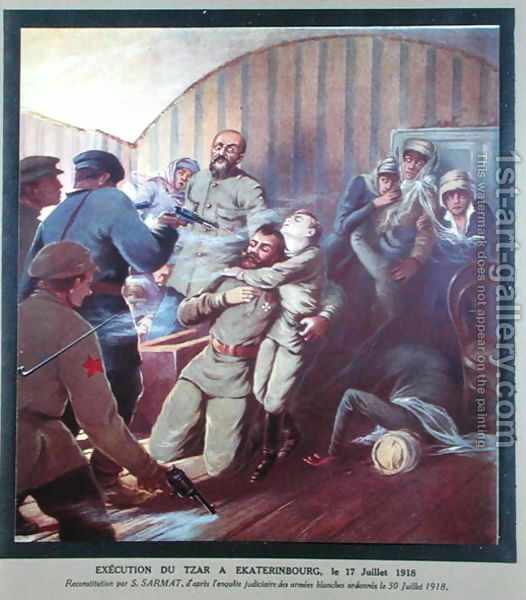 As was the case during the Russo-Japanese War of 1905, the chaos of World War I enabled the Communists (Bolsheviks) to stage another uprising in 1917. Leading the diabolical efforts was Jacob Schiff's loyal agent, Leon Trotsky, freshly reestablished in Russia after having hidden in Brooklyn for the past decade. The Tsar had been forced to abdicate earlier that same year. The provisional government would then be overthrown by the Jewish-led Bolsheviks. The following year, Schiff's agents murdered the Tsar and his entire family. The reign of terror that the Soviets then ushered in would plague humanity for decades to come. Scores of millions would be murdered! And it could never have happened without the tireless leadership of Rothschild, Schiff and their Junior partners. Soon after the Revolution, Schiff removed Russia (now the Soviet Union) from his "do-not-lend list. The Bolshevik hit-men of the Rothschild-Schiff crime gang could never have done something so drastic as slaughtering the entire Royal Romanov family unless the New York-London Jewish 'higher ups' had given the approval. 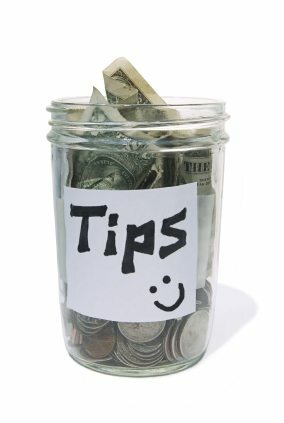 If you enjoyed what you just read, please consider donating any amount so we can continue to stay online, produce and grow. Check out the 'Donor Rewards' too! WHO IS BEHIND THE NEW WORLD ORDER-- AND WHY?